The food at Red Door is delicious and, even better, comes with a very friendly price tag. It’s a great places that can accommodate an intimate twosome or a large group for a quick bite, casual meal or a super good time. The menu is short but sweet. Dumplings are our main attraction here at Red Door, and with a Guangdong master at the helm you’ll be likely to over-order. You’ve been duly warned. If you’re in the Windsor hood, Red Door – that little hidden gem – is where you want to hang your hat. 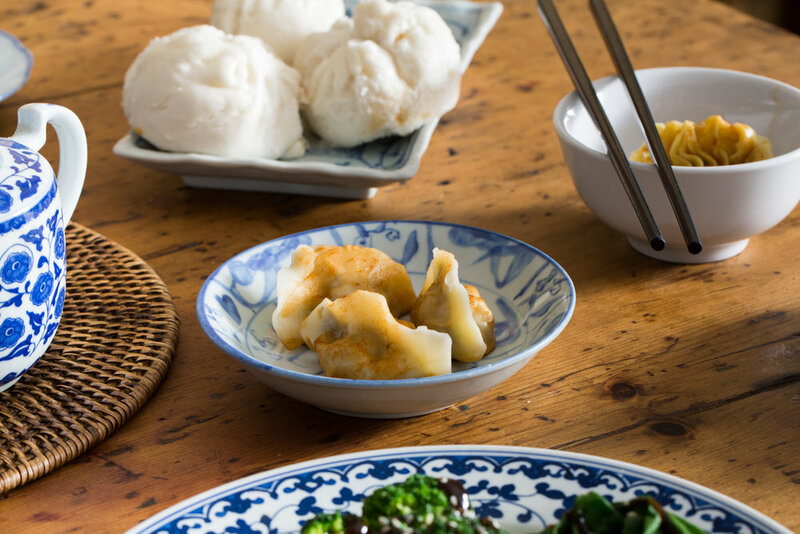 With a cozy atmosphere, housing unique antique relics, it's the perfect intimate setting to plough into some dumplings. Plan ahead and save time waiting with a reservation at Red Door Yum Cha. We accept reservations and would be happy to assist you. Simply call during our opening hours or alternatively phone us anytime and leave a message and we will be sure to follow up on your booking. Walk ins are most welcome. Takeaway phone orders available. Pick up only. At Red Door Windsor we offer a range of dining options for groups ranging from 6 – 30 people. Our private dining room allows for an intimate setting for your occasion or alternatively book our large shared table. Both spaces seat up to 18 people. Bookings must be made in advance. All your needs can be catered for, from morning tea, set function menus, to a full a la carte dining in the warm open or private setting perfect for the sharing senses of yum cha. We also offer catering for all occasions. Please phone us to discuss your event and we will tailor a menu to your needs. We offer pick up catering only and do not do on site events or functions.